A 9-1/4 in. x 12 in. 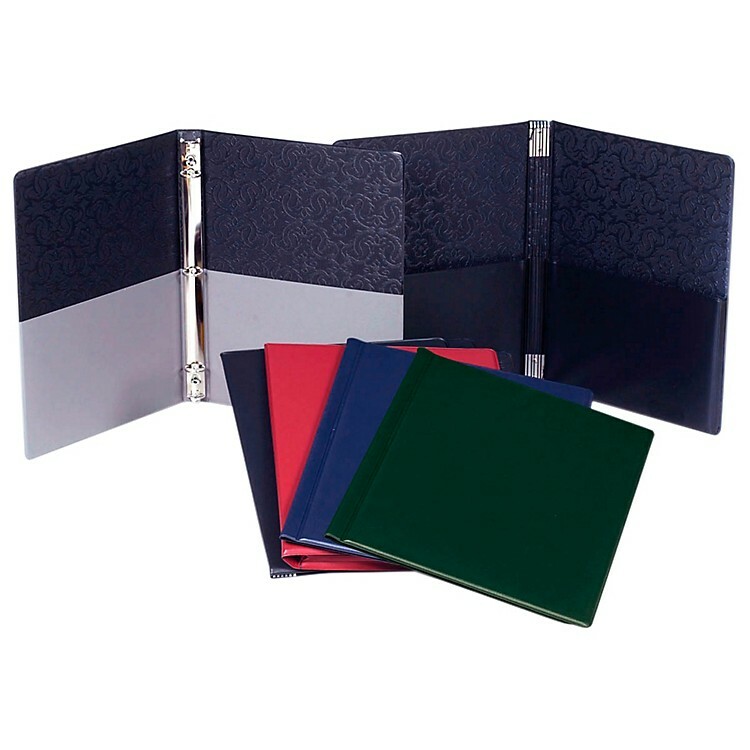 concert folder with seven elastic stays and two expanded horizontal pockets. Holds standard-sized choral music. Available in black, green, red and blue.